The couple this was commissioned for, as long as they keep their trivet on the table or by the stove, should never forget their anniversary. 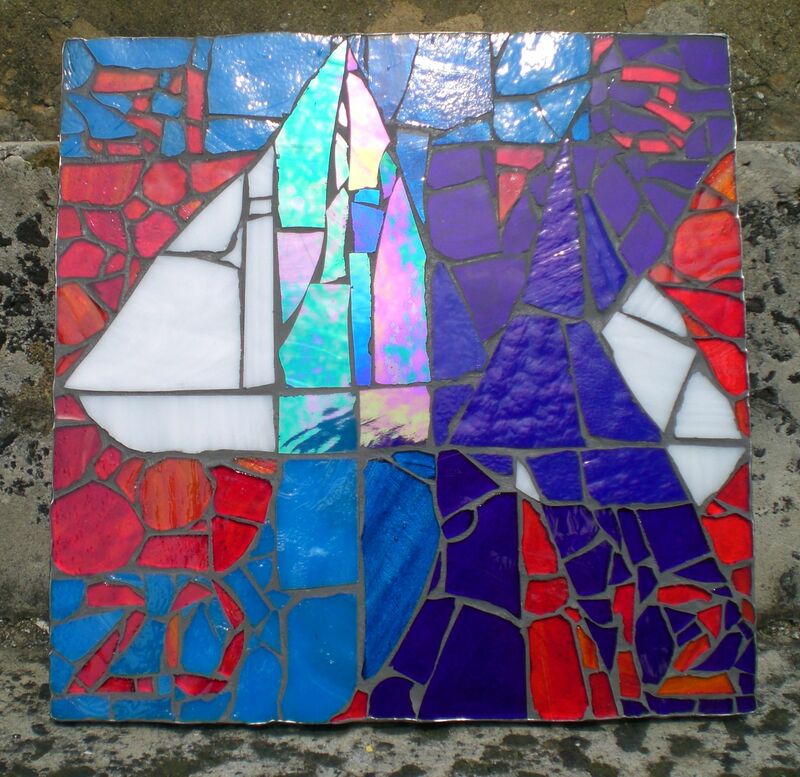 K and J got married on the 31st March 2012, and yes, you’ve guessed, they are both keen sailors. 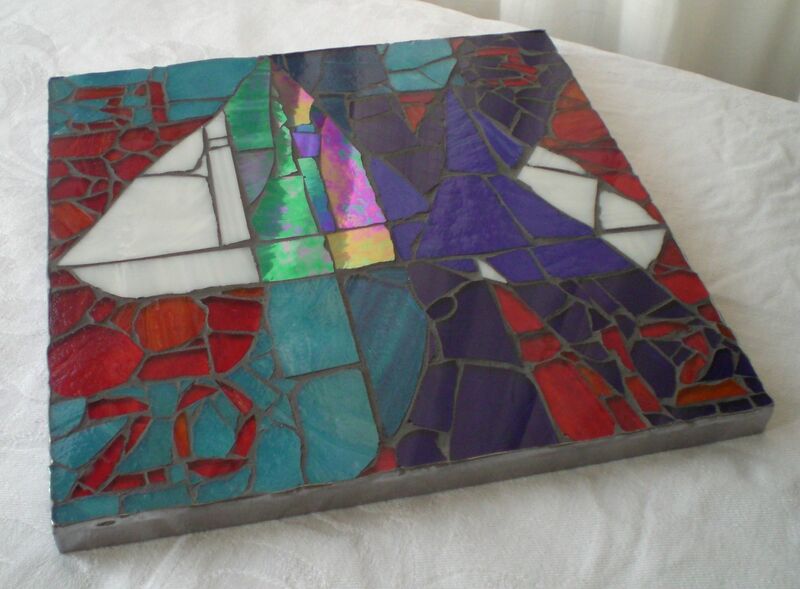 This is 10″ x 10″ and made from stained glass. Here it is in another light, some of the glass is iridescent.